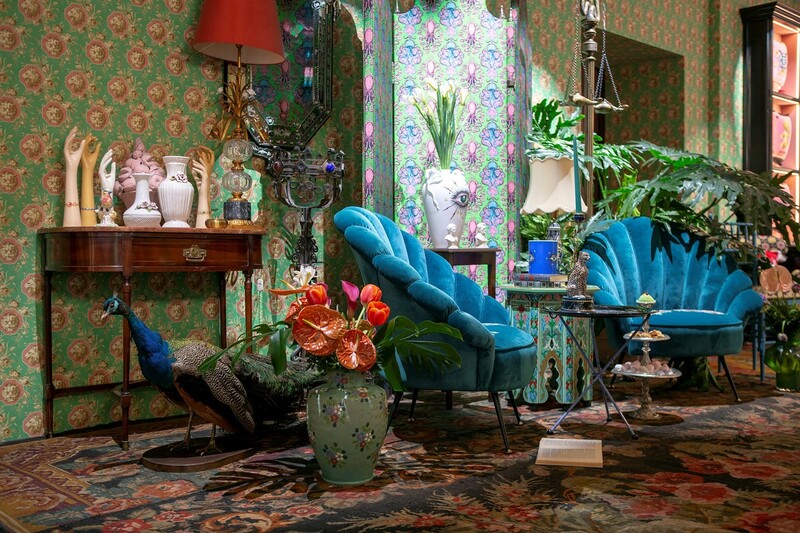 Maximalists, pay attention: a temporary Gucci Décor store, dedicated solely to the Italian fashion house’s line of furniture and interiors, has opened in Milan. As part of the city’s annual design festival Salone del Mobile, the 2,691-square-foot space – located at 19 Via Santo Spirito – is a veritable treasure trove, showcasing the baroque codes Alessandro Michele brought to Gucci when he took the helm as creative director in 2015. 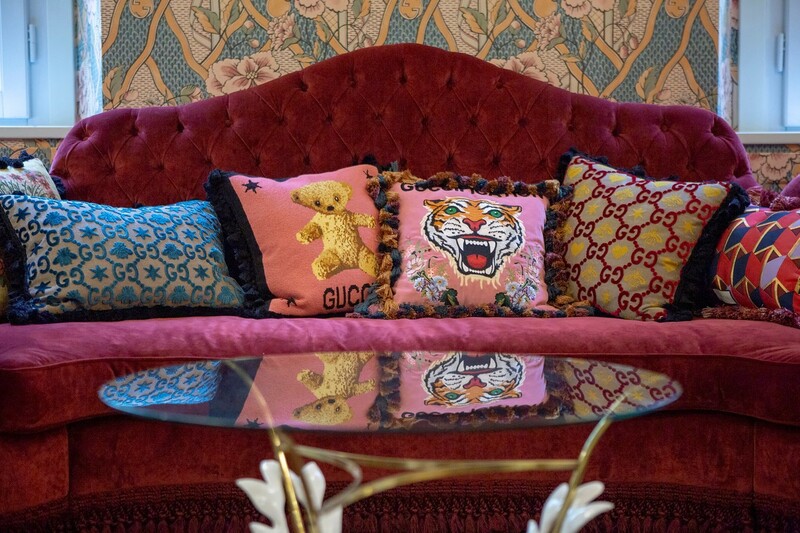 Befitting Michele’s eye for the ‘OTT’, Gucci Décor launched two years later in 2017; a range of homewares “designed to bring the eclectic, romantic aesthetic of the house to life in a way that enables customers to creatively dress their own spaces,” says the maison. This is certainly reflected in this temporary store, which has been stocked from floor-to-ceiling with a wealth of porcelain oddities, including a stand-out pink moire silk armchair and chintzy fringed lampshades (some restored antiques and some from the Décor collection itself), to name but a few of the items on sale. Walls are papered with Michele’s signature flora and fauna motifs and festooned with hanging blankets, designed to look like tapestries. In addition – and in keeping with Gucci’s embrace of the vintage and the futuristic – a new app created in conjunction with the store uses augmented technology to allow customers to virtually place objects from the Gucci Décor range in their own homes. Open from now until June this year, you have a few months to left to ensure you pay the shop a visit. In the meanwhile, take a look through the gallery to see what it would be like if you Gucci-fied your home. The Gucci Décor collection is also available in Gucci flagship stores and Gucci boutiques, online at gucci.com and in selected speciality stores.